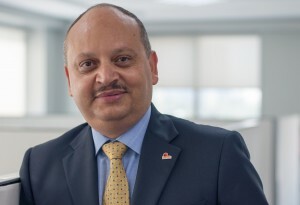 As Vice President and Region Executive for the Middle East, Ahmed Nada is responsible for driving First Solar’s growth strategy in the region. Ahmed joined First Solar in January 2013, bringing over two decades of experience in the energy and power industries to his new role. Based in Dubai, he leads business development activities across the region, outside of Saudi Arabia. Ahmed previously spent 14-years at General Electric (GE) and was most recently the Business Executive and Regional General Manager of GE Oil & Gas Global Services in the Middle East. Prior to joining GE, he worked at Zahid Tractors & Heavy Machinery Co., a distributor for Caterpillar equipment in Saudi Arabia, and the Saudi Arabian Marketing Corp. (SAMACO). Ahmed holds a Master of Science Degree in International Management from the University of Lausanne, Switzerland.